There’s so much going on at Amazon it’s hard to keep up with it all. From Alexa devices to products shipping instantly on Prime Now, there’s something for everyone. 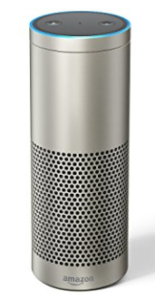 A few years ago, Amazon introduced the Amazon Echo. Amazon Echo is a hands-free speaker you can control using your voice. 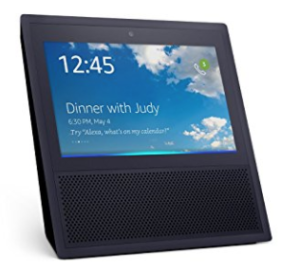 It connects to the Alexa Voice Service to play music, provide information, news, sports scores, weather, and so much more instantly. In recent months, Amazon has also released a few more Echo devices. Keep on reading to learn more about each device! 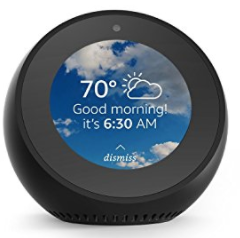 The Echo Spot is a sleek, compact device that uses 2nd generation far-field voice recognition to watch video flash briefings, see music lyrics, weather forecasts, to-do and shopping lists, browse and list to audiobooks, and much more — all hands-free. The Echo Show is optimized for visuals and room-filling sound. It is the most expensive Echo device, but is jam-packed with features to make your life easier.